A couple days after Christmas, I was in the car with my friend Andrew, driving across the state of North Carolina. We had about three hours in the car, and we were debating the key difference between the two of us: what we do with life’s lemons, how we describe the level of liquid in the proverbial glass, whether or not we think the sun will come out tomorrow. I have been told this is a contrast to most college students, and I can say with certainty that it is a contrast to the one that was currently occupying the passenger seat of my car. Andrew Mckinney is a lover of coffee and a needer of caffeine. He is six feet and six inches of musical cleverness, creative handiness, brave adventure-ness, and strong kindness. His view of the world is (self-described as) cynical, often bordering on pessimistic. I appreciate and celebrate this difference between us, though I have before felt the need to insert in him an IV of straight sunshine. We go down the highway debating back and forth and I’m trying to think of a way to explain my optimism to Andrew. See, to me, finding the good in the world is as obvious as a fish swimming through the ocean in search of water. The fish may have to focus for a second, but then he realizes, oh wait, oh my goodness, I am surrounded by this. But I know seeing the happy in the world is easier said than done, and I wanted to find a way to better illustrate my mind. That little button is already of great use: it struck me with a truth I couldn’t believe I had forgotten. I think we can all agree: that button is completely ordinary. It’s of average size, brown, four holes, no fun pattern or anything. Without that tag, I may have seen it, but I wouldn’t have thought about it. But with that tag, that button made me smile and take a picture and sent my mind spinning. That’s what optimism is all about: finding the extra in the ordinary. Taking those things that no one thinks about, like the button, and making them count. 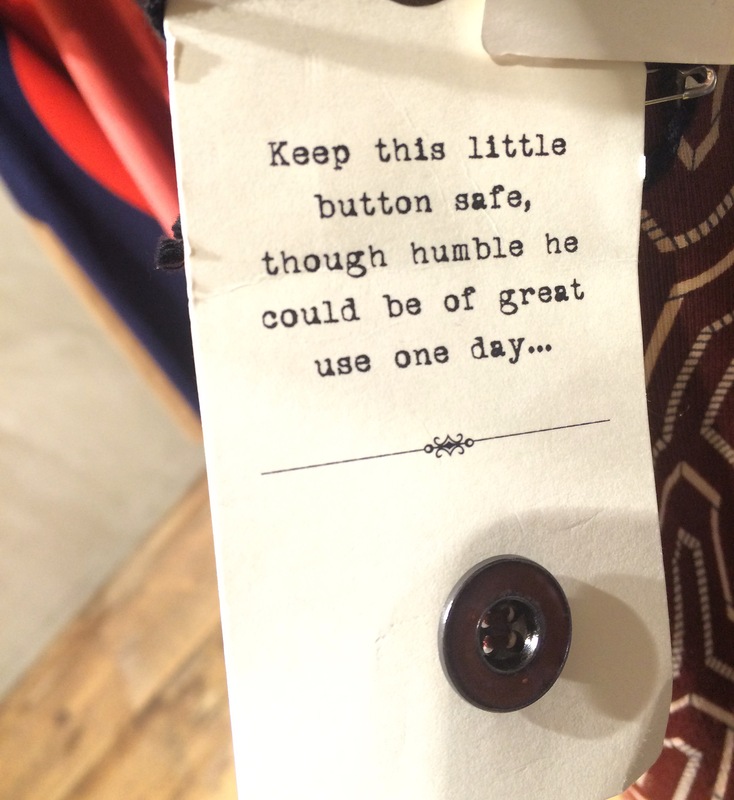 Thank you, Anthropologie, for making things count. One of my favorite quotes. Couldn’t stop thinking about it as I read about the spire collapsing at Notre Dame while the crowds gathered below to sing hymns. Saturday morning to Saturday afternoon. As Fleetwood Mac (or my preference, the Dixie chicks) would say, I climbed a mountain & I turned around. Old Friends, with old friends. Love you Ben Rector, love you more Katie & Emily!